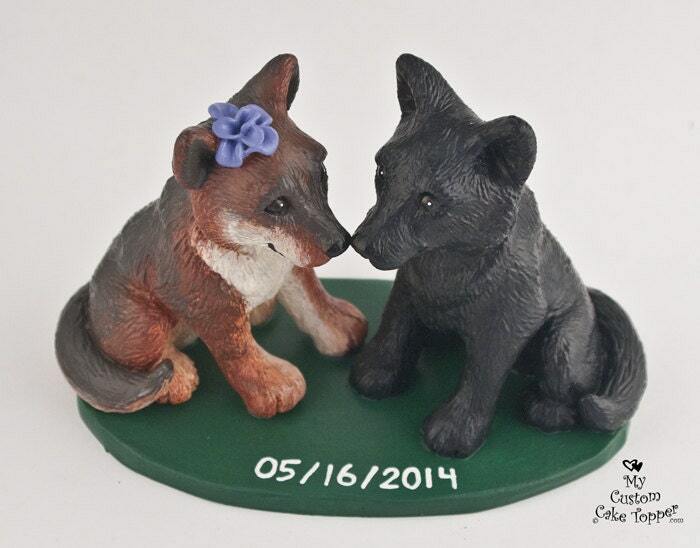 Beautiful Wolf Wedding Cake Toppers. 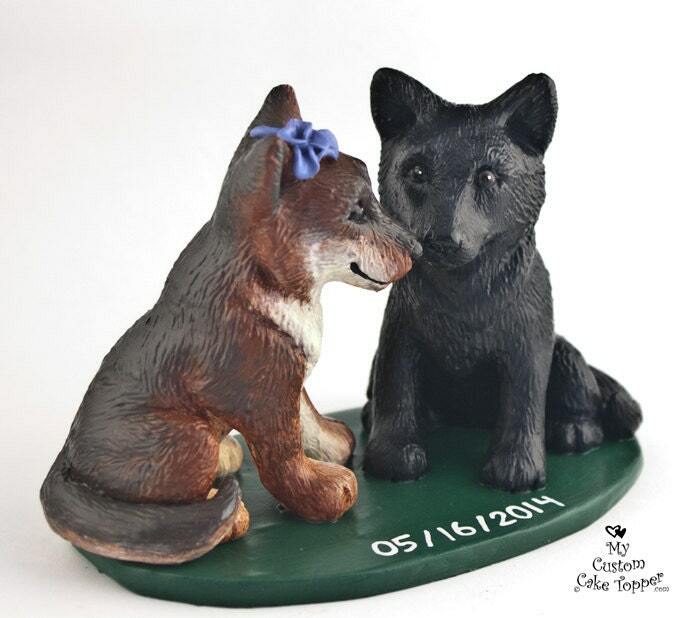 These adorable wolves are non-toxic and can last a lifetime, a perfect keepsake from your special day. Each dog without accessories is approx. 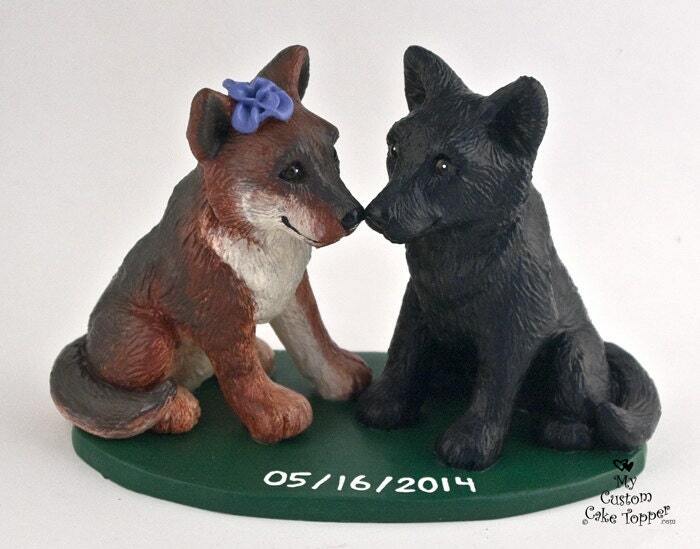 4.5" tall by 3.5" wide. 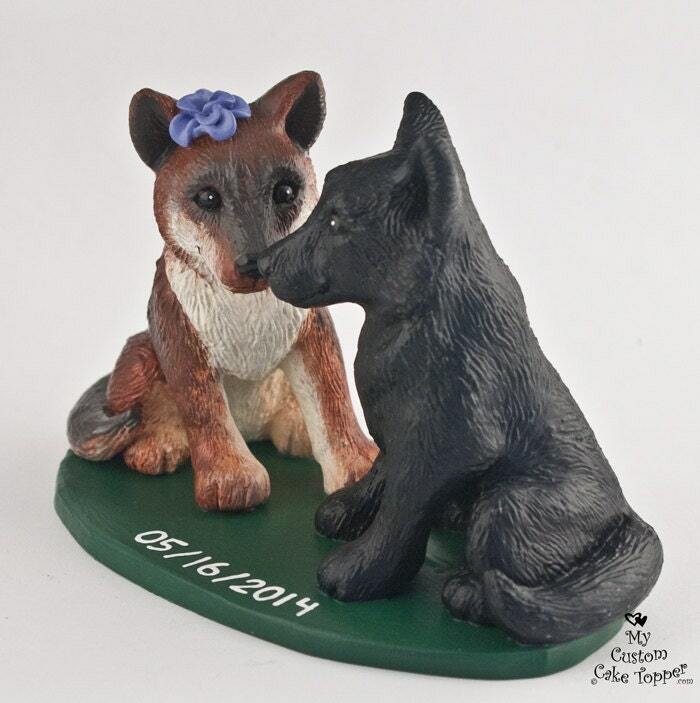 These photos are examples of the sculptures you will receive. 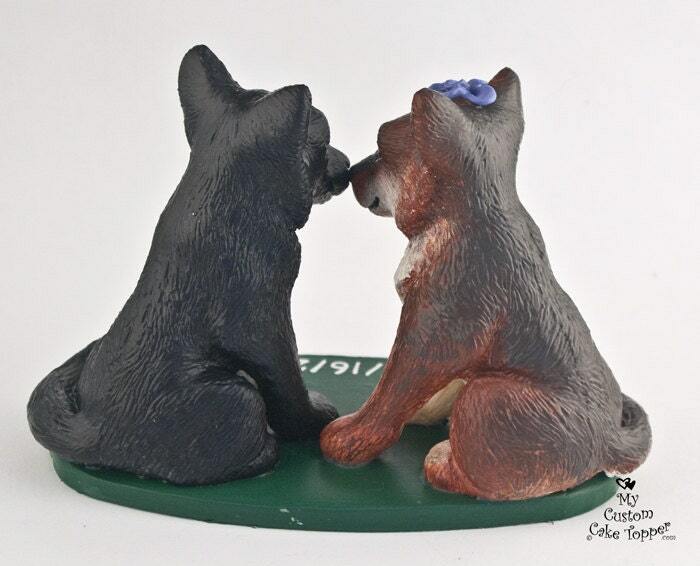 These adorable german shepherds are hand cast from my original sculpture, hand painted and detailed.